Wonderful views from the window. Didn't like that a twin room could not be provided although I requested it. One was only available for an extra 10Euros. This is something that Expedia needs to ensure is passed to the hotel as the request was added to their website. 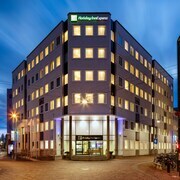 Where to find Elst hotels near an airport? Where can I find hotels in Elst that are near tourist attractions? If you're thinking of taking a vacation in Nijmegen and you're looking for accommodation in Elst, you have an extensive array to select from. You can search 25 places to stay within a 0.1-kilometre (0.06-mile) radius of downtown Elst on Expedia's informative and up-to-date booking database. Travelers wanting to find accommodation within 1 kilometre (0.6 miles) of Elst, should check out the Linge Hotel Elst and Het Wapen van Elst. 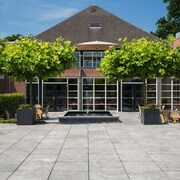 11 kilometres (7 miles) from downtown Elst, is the Spa Hotel Sanadome Nijmegen. 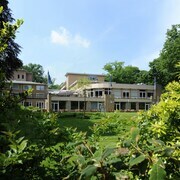 The Bilderberg Hotel Klein Zwitserland can be found 9 kilometres (6 miles) away. 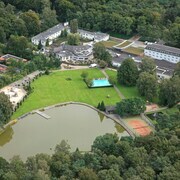 Another possibility is to investigate the Manna or the Landgoed Hotel Groot Warnsborn. After you have enjoyed Elst, you should leave time to investigate the wider region of the Gelderland area. Enjoy Gelderland's forests, rivers and streams. In addition you could head to a selection of the region's castles and old towns. In this region of Netherlands tourists can also partake in ice skating and mountain biking. 17 kilometres (11 miles) to the southeast of Elst is Heilig Landstichting, where visitors can enjoy the Het Rijk Golf Club. 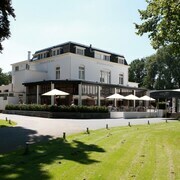 Groesbeek Expedia-listed hotels include the Hotel & Resort de Zeven Heuvelen and Hampshire Hotel - Holthurnsche Hof. While exploring the region, you might like to visit Heilig Landstichting, the proud home of the Bijbels Openluchtmuseum. Heilig Landstichting is found 13 kilometres (8 miles) to the south of Elst. 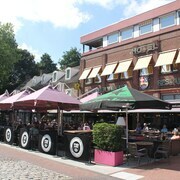 Hotel options in Heilig Landstichting include the Apollo Hotel and Mercure Hotel Nijmegen Centre. Before you leave Nijmegen, why not make sure you experience some local sport. Visit Amsterdam ArenA to the northwest of Elst. 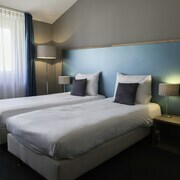 Those sports fans wishing to stay nearby can choose from the Stadhouderskade Apartment or the Hotel Notting Hill. Eindhoven Airport is a convenient airport for arriving in Elst. It is 60 kilometres (37 miles) away. 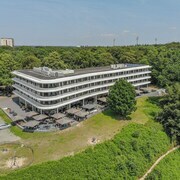 If you plan to stay nearby, try the Novotel Eindhoven or NH Best. What are the most popular Elst hotels? Are there hotels in other cities near Elst? What other types of accommodations are available in Elst? Explore Elst with Expedia.ca’s Travel Guides to find the best flights, cars, holiday packages and more!